There are plenty of applications available on Apple App Store or iTunes to download videos from YouTube or many other online video sites such as Metacafe, Dailymotion etc. The problem with iPhone users is that they are overwhelmed with a lot of choices as there are millions of apps on App Store and they can't find which application will be best for them. In this article, we will be sharing Top and Best applications which will let you download and stream videos from YouTube and other video sharing websites. Although, there are many paid apps for this purpose but we will be sharing only the Free ones. The reason is downloading online videos is not a big deal and these free apps have more than enough features according to our needs and requirements. So, here goes the list of top and best iPhone apps to download videos from YouTube and online video sharing sites. For Jailbroken Users: Firstly, we are sharing a list of best applications to download YouTube videos on Jailbroken iPhones. If your iPhone is jailbroken then you can proceed with this section, otherwise skim to Apps for Non-Jailbroken Users section. Tip:If you are not sure about your device then look for 'Cydia' application on your screen. If you find it then it means that your iPhone is Jailbroken and if it is not there then most probably your iPhone is not Jailbroken. MxTube: MxTube is by far the best YouTube video Downloader for Jailbroken iPhones. It is the older application with very simple to use interface and all basic functionalities. When you open up this application, MxTube lets you search for YouTube videos and then at the video page you can choose to stream or download the video. It shows you description and details about the video and gives you three options to stream as well as download videos. These three options are High Definition, High (WiFi) and Low(Edge). You can choose any video quality based on your connection's speed and your video requirements then it will instantly start downloading the video. MxTube gives you a very fast video downloading functionality. This application is very small in size and installs in no time. To download this Video downloading app on your jailbroken iphone just go to Cydia and search for MxTube. Then click on the MxTube icon and install the application. That's all. Universal Video Downloader:This is another video downloading application for jailbroken iOS devices. This app is provided by BigBoss. The main advantage of this application is it works very well on your whole device. 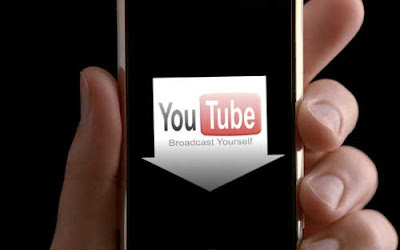 It provides ability to download YouTube videos from Safari browser and from official YouTube application by Google. Thus it is completely integrated in your iPhone. After the completion of download, you can play and watch the video via built in player. One other great feature of this application is it also gives you full freedom to choose the apps from which to detect videos. For example, if you don't want to detect videos from Safari browser then you can do so via customizing settings. To Download and Install Universal Video Downloader, just go to Cydia app, search for 'Universal Video Downloader' and click on install. For Non-Jailbroken iPhone Users: These are the applications which are for non-jail broken users. If you haven't jail broken your iPhone yet then you can use these free applications to download online videos from YouTube and some other video sharing sites. Here is the list of top and best applications for iPhone users to Download YouTube videos without Jail breaking their phones. Video Download - iBolt Downloader & Manager: This video downloader is just a basic video downloader with downloading support to some other file sharing sites such as Dropbox etc. The Paid version of this application is no. 1 on Japanese iTunes charts. MyMedia - Download Manager: This application works as a simple new web browser in your iPhone. The app comes with much functionality such as Download Manager, Browser, File Manager and Media Player. It also enables you to upload and share your content via Wi-Fi, DropBox and Email. Tip: To download and install these applications Go to AppStore and search for their names and then click on install to install them.